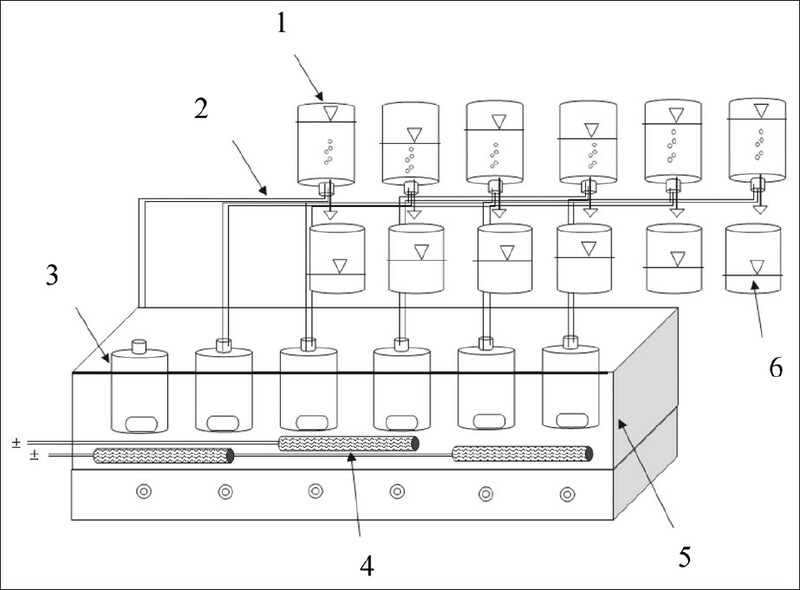 Aims: The efficiency of an anaerobic sequencing batch reactor (ASBR) in ethylene dichloride ( EDC) and chemical oxygen demand (COD) removal at different operational conditions was evaluated. Materials and Methods: Biological EDC and COD removal was studied in a laboratory scale ASBR. The ASBR was seeded at the start-up with granular anaerobic sludge of sugarcane industry and operated at different organic loading rates (OLR), EDC loading rates, and influent concentration of COD and EDC. Results: During start-up period, COD removal efficiencies of above 80% were selected for reactor adaptation to achieve steady state during 48 days of operation. Maximum COD removal efficiency was 95% with an influent COD concentration of 1700 mg/L at 0.5 gCOD/L.d, and the efficiency rapidly dropped with increasing influent COD concentrations and OLR. When the EDC loading rate was adjusted between 0.6 to 4.7 gCOD/L.d, the EDC removal efficiencies were 95% and 46%, respectively, with influent EDC concentrations of 2000 and 16000 mg/L at the end of EDC loading stage. The kinetic study showed that the EDC and COD removal by ASBR followed the second order kinetic. Conclusions: Based on the results of this study, the ASBR process is successfully applicable for biodegradation of the COD and EDC (>90%) in wastewater treatment. The kinetic study showed that, at same time, ASBR capable to removing COD rather than EDC. Aims: The aim of this study was to investigate the relationship between macroergonomics score and job satisfaction among industrial employees. Materials and Methods: This cross-sectional study was done among 83 employees from a factory affiliated with Iran Khodro Company. Two questionnaires including Minnesota Job Satisfaction and Macroergonomics Condition have been used. Finally, the collected data was evaluated and analyzed through SPSS 10 software program. Results: The mean age of the subjects in this study was 30.8 and the work experience of 56.6% of them was between 4 and 7 years. The average macroergonomics score in the whole group in this study was 59.8. The maximum score given to this condition was 85, and the minimum score was 30. Also, the mean of job satisfaction score among the subjects was 60.5. The highest job satisfaction score was related to supervisors, which was about 69.2. There was a significant relationship between the general area of macroergonomics and job satisfaction. (r = 0.638, P-value <0.001). Conclusions: This study showed the higher macroergonomic scores, the better the work conditions, and, therefore, the employee's job satisfactions improve. Aims: In this study, humic acid (HA) removal by iron oxide magnetic nanoparticles (IOMNPs) was surveyed in aqueous solutions. Materials and Methods: Batch adsorption technique was used to determine kinetic and isotherm parameters. The effects of pH value, agitation rate, adsorbent dose, contact times and the adsorbate concentrations on the adsorption efficiency were studied as critical parameters. The IOMNPs was characterized by X-ray diffraction. Results: HA adsorption on the IOMNPs was fitted with Freundlich isotherm model and followed the pseudo-second-order kinetics. Results revealed that at HA concentration of 10 mg/L, pH 4.5, adsorbent dose of 2.7 g/L, agitation rate of 250 rpm and contact time of 90 min at presence of 0.1 M NaCl as an ionic strength agent, the HA removal reached to about 98%. Also, the turbidity of treated samples was increased with increasing of HA loading. Conclusions: With increasing HA concentrations, adsorption capacity of IOMNPs was increased and HA removal efficiency was decreased. By adding ionic strength, HA removal was improved and turbidity of treated samples was reduced. Aims: This study was aimed to design comprehensive risk management based on hazard analysis and critical control points (HACCP) in the Isfahan drinking water system. Materials and Methods: Data obtained from field inspections and through related organizations of Isfahan, Iran. The most important risks and risky events of water quality in all sources of raw water in the study area including the Zayanderoud river, the water treatment plant, and the distribution system were identified and analyzed. Practical measures for the protection, control, and limitation of the risks in different phases, from water supply to consumption point, were presented in the form of seven principles of the HACCP system. Results: It was found that there was a potential of hazards during the treatment process of water because of seasonal changes and discharge of various pollutants. Water contamination could occur in eight identified critical control points (CCP). River water could be contaminated by rural communities on the banks of the river, by natural and sudden accidents, by subversive accidents, by incomplete operation, by lack of proportionate of the current treatment process, and by the high extent of antiquity of the Isfahan water distribution system. Conclusions: In order to provide safe drinking water, it is necessary to implement a modern risk management system such as the HACCP approach. The increasing trend of the Zayandehroud river pollution needs urgent attention. Therefore, the role of the government in developing and mandating the HACCP system in water industries is essential. Aims: The aim of the present study is to investigate the efficiency of ultraviolet/ nickel oxide (UV/NiO) system as one form of advanced oxidation processes (AOP) for decolorization of red poly azo. Materials and Methods: This study was conducted as a laboratory scale in a batch mode. Ultraviolet radiation was provided by a low pressure (11 W) UV lamp. Effects of various factors including pH, different irradiation durations, different concentration of nickel oxide, and initial dye concentration were evaluated. Results: The results of the UV/NiO system's assessment showed that UV light alone cannot remove DR 80 dye. Nickel oxide is an effective catalyst in the decolorization of dye with the nanophotocatalytic process. The decolorization efficiency increases with decreasing pH value and the optimum pH value is 4. Fainally, the highest removal efficiency achieved by UV/NiO process for DR 80 dye with concentrations of 25 mg/l and 50 mg/l was 94.3% and 82.2%, respectively. UV/NiO-based decolorization process follows pseudo-second-order reaction kinetics. Conclusions: From the findings of the present study, it can be concluded that UV/NiO process is an effective technique for decolorization of poly azo dye, DR 80, in aqueous solutions. Aims: This study was conducted to evaluate the feasibility of applying pumice as a catalyst in the ozonation process for removal of humic acids from aqueous solutions. Materials and Methods: The molecular structure and chemical composition of pumice were determined using X-ray fluorescence (XRF) and X-ray diffraction (XRD). The catalytic ozonation experiments were performed in a semi-batch reactor and the mass of ozone produced was measured by means of iodometric titration methods. 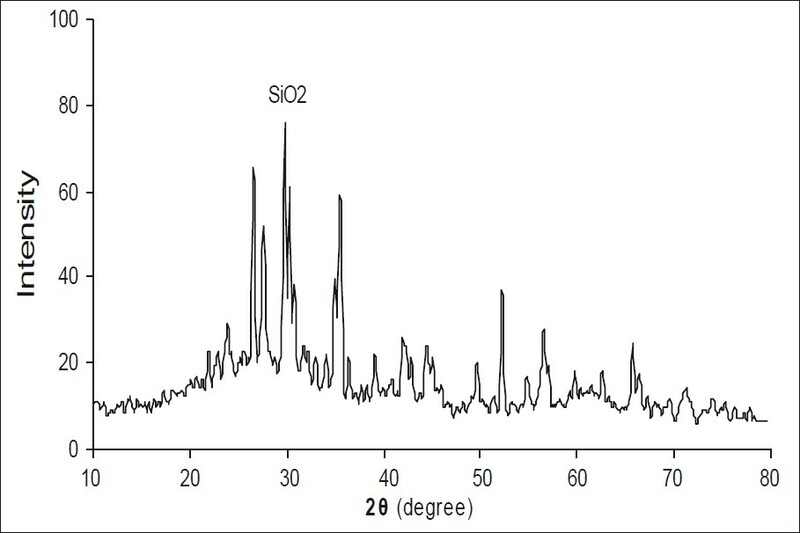 Concentration changes in humic acid were determined using a spectrophotometer, at an absorption wavelength of 254 nm. To evaluate the performance of catalytic ozonation in humic acid removal, effects of different parameters including pH, contact time, pumice dosage, and t-butyl alcohol (TBA) were examined. Results: The catalytic ozonation results showed that the use of pumice as a catalyst increased the decomposition of humic acid eight times, and the removal efficiency increased as the pH changed from 4 to 12 and catalyst dosage changed from 0.25 to 10 g/l. The catalytic ozonation with considerable efficiency (90%) removed humic acid in less time (10 minutes) than the sole ozonation process (SOP). Moreover; the results indicated that the catalytic ozonation process (COP), compared to conventional SOP, was less affected by the radical scavenger. Conclusions: Due to the low cost, easy access, and remarkable performance of pumice as a catalyst, it can be used in conventional sole ozonation processes for removing organic pollutants. Aims: This study evaluates the effectiveness of polyaluminium chloride (PACl)as a coagulant for enhanced coagulation (EC) of humic substances (HS) in surface water. Materials and Methods: Dissolved organic carbon (DOC), ultraviolet absorbance (UV 254 ), specific ultraviolet absorbance (SUVA), and humic acid (HA) were determined as the HS indices. HS was extracted by Amberlit XAD-7HP from water and HA was analyzed by high performance liquid chromatography (HPLC). The HS index was determined in raw water and after clarification and filtration in all seasons. The efficiency of PACl for removal of HS, both in the jar test and pilot scale were determined. Results: The average extraction efficiency for XAD-7HP was 77%, and the HA concentration was determined in all seasons ranging from 0.15 to 0.29 mg/ L in raw water. The DOC in raw water was in the range of 1.5 to 4mg/L, in all seasons. 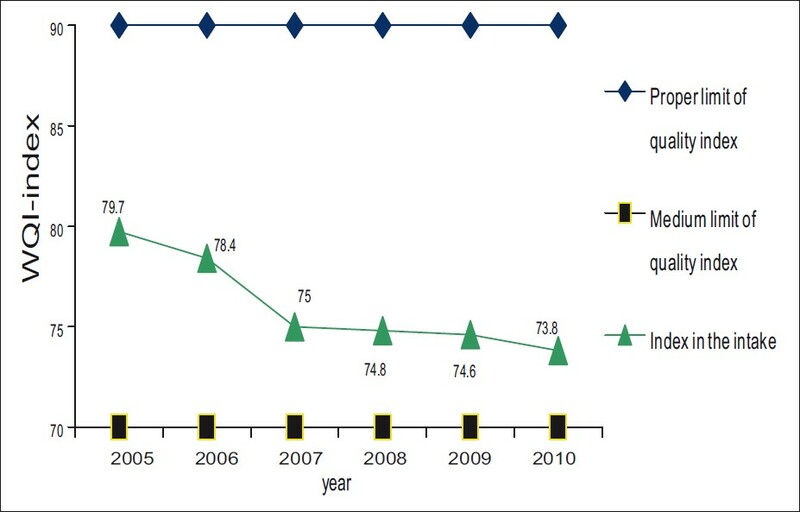 The average removal efficiency of PACl for EC was 52% for HA in the pilot scale. Also the average removal efficiencies of PACl EC for DOC and UV 254 were 43 and 57% on the pilot scale and 38 and 41% in the jar test, respectively. The optimum pH for removal of HS was 7.5 ± 0.2 and the optimum PACl dose was 12 ± 0.5 mg/L. Conclusions: After EC, the aluminum concentration was lower than the maximum concentration level (MCL) of aluminum in drinking water (< 0.05 mg/L). The efficiency of PACl EC was more effective in the high molecular weight fraction of HS and UV 254 . In addition, PACl EC was more affected by the increasing coagulant dose than the pH decrease. The removal efficiency of PACl EC at high pH > 8.5 was very poor for the HS index and turbidity. 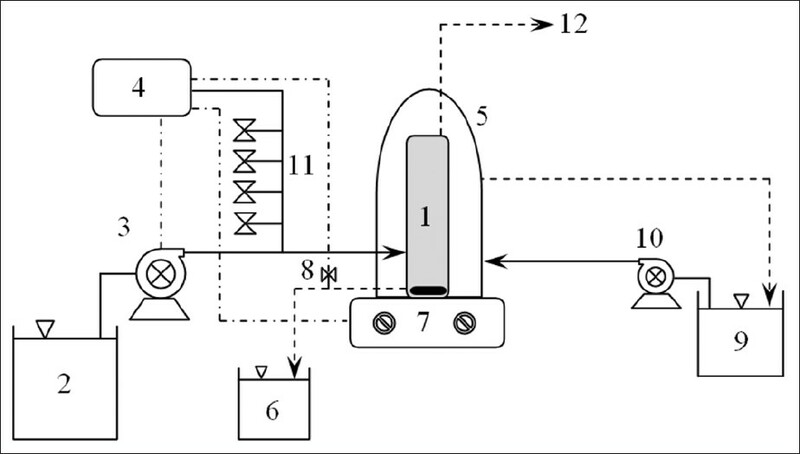 Aims: In the present investigation, the methyl tertiary-butyl ether (MTBE) removal efficiency from the synthetic solutions by the means of advanced oxidation process of UV/O 3 was studied. Materials and Methods: To study the efficiency of process, the following variables were studied: ozone concentration, pH, MTBE initial concentration, and radiation duration. 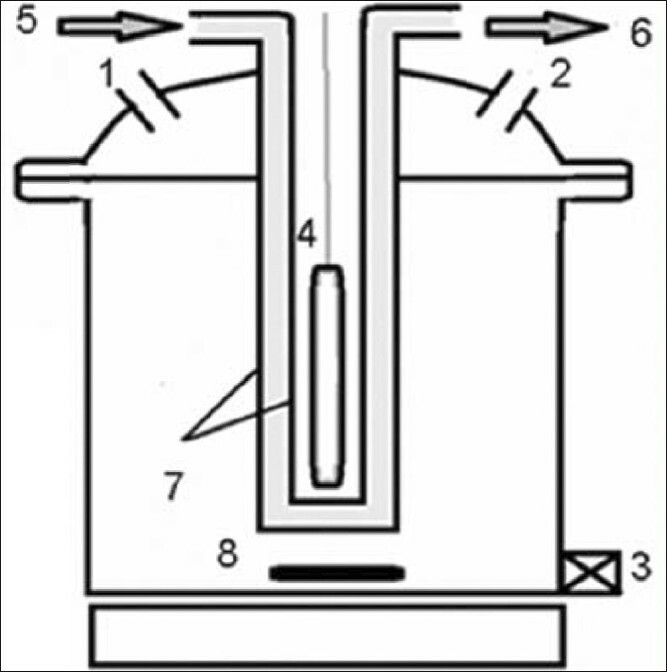 As The radiation source, a Mercury vapor UV lamp with moderate pressure (400W) was used which was immersed vertically in the solution containing MTBE, in a glass reactor (Volume: 2 L). Results: The results showed that the efficiency of UV radiation and ozone alone in 50 mg/L concentration and pH: 7 on MTBE removal was 4 and 53%, respectively. The UV/O 3 compound process removal efficiency in 60 minutes was 63%. The pH played a significant role in the process, as with the increase in pH, the removal rate increased as well. The removal rates for the initial concentrations of 10, 20, 50, and 100 mg/L of MTBE were 98, 81.5, 72.8, and 63.8%, respectively. Conclusion: The results of the present survey indicated that the efficiency of the UV/O 3 combination process was more than ultraviolet (UV) and Ozone alone. In the UV/O 3 combination process, the MTBE removal efficiency increased as the O 3 concentration and pH increased, while the efficiency decreased as the MTBE concentration decreased. Aims: Inhibition behavior of two types of antibiotics including Ampicillin and Gentamicin on specific methanogenic activity of anaerobic biomass has been investigated. Materials and Methods: A total of 18 Specific Methanogenic Activity (SMA) tests were conducted in 120-ml vials containing 40 v/v% substrate, 37 v/v% biomass and 23 v/v% biogas in batch mode for 20-25 days. Produced methane was measured by gas replacement with 2N KOH solution as CO 2 absorbent. Three volatile fatty acids (VFAs) including acetic acid, propionic acid, and butyric acid were used as co-substrate. 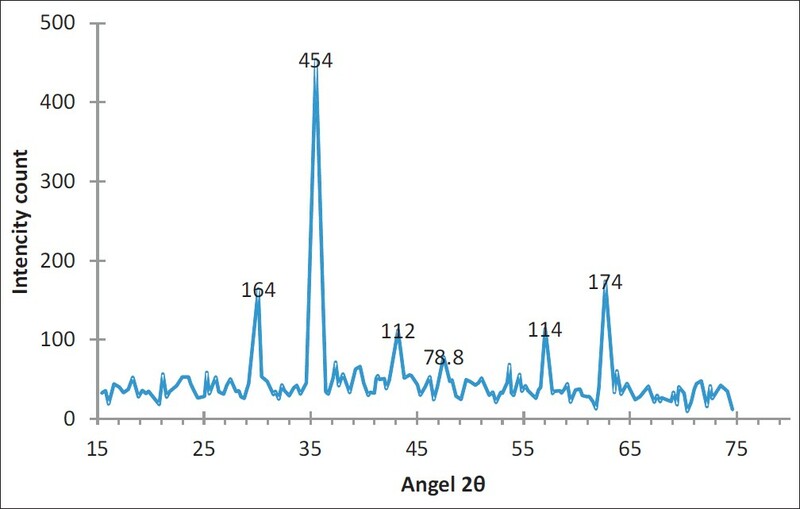 Results: In the tests with 200, 500 and 1000 mg/l of ampicillin at presence of acetic acid, the cumulative SMA were 66, 101, and 154 ml CH 4 /g VSS.d, those of with propionic acid were 25, 35, and 46 ml CH 4 /g VSS.d, and with butyric acid the values of 198,140, and 245 ml CH 4 /g VSS.d were obtained respectively. In the experiments with 100, 500 and 1000 mg/l of gentamicin the cumulative SMA were 141, 204, and 257 ml CH 4 /g VSS.d for acetic acid as a substrate, 54, 72 and 71 ml CH 4 /g VSS.d for propionic acid, and 139, 74, and 85.5 ml CH 4 /g VSS.d for butyric acid, respectively. Conclusion: At the same concentrations, ampicillin showed more inhibitory effect than gentamicin on anaerobic decomposition of biomass. Within the used VFAs, the inhibitory effects of propionic acid was greater than acetic acid and butyric acid.